Belize NMS: Relatively moist and unstable conditions prevail, but a gradual improvement in the weather is expected over the next couple of days. 24-hour forecast: Cloudy spells today and partly cloudy tonight. A few showers or thunderstoms will continue along coastal and southern areas this morning and tonight, being generally isolated elsewhere. 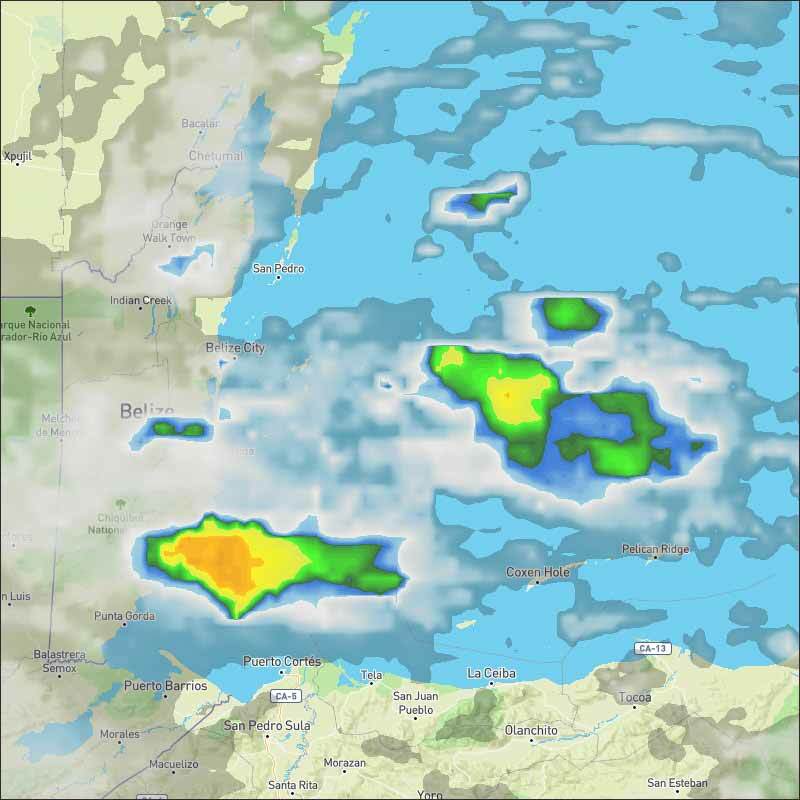 General Outlook: Cloudy spells on Friday and Friday night with a few showers or thunderstorms mainly over coastal and offshore areas in the morning and night and over inland areas in the afternoon. 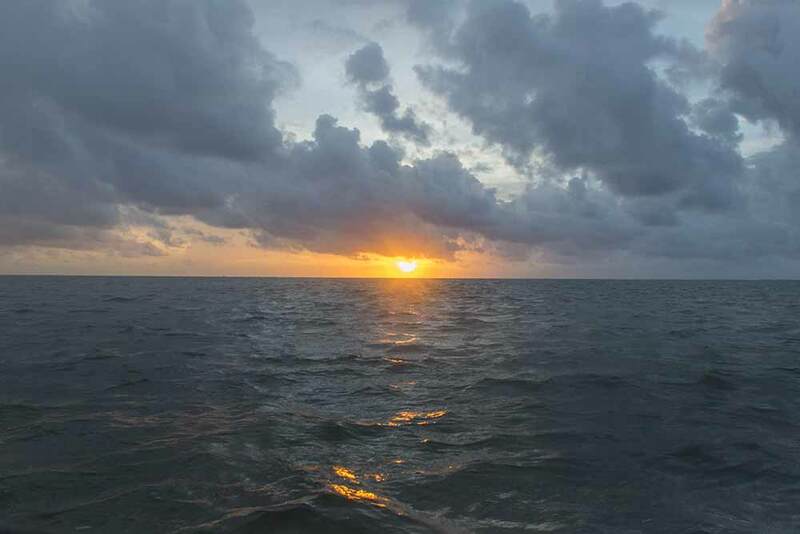 Today E 5-15 kts Light Chop-Choppy 2-4 ft GNERALLY ISOLATED SHOWERS OR THUNDERSTORMS. Tonight E-NE 5-15 kts Light Chop 1-3 ft A FEW SHOWERS OR ISOLATED THUNDERSTORMS, MAINLY SOUTH. Tomorrow E-NE 5-15 kts Light Chop 1-3 ft A FEW SHOWERS AND ISOLATED THUNDERSTORMS, MAINLY SOUTH. Outlook E-NE 5-15 kts Light Chop 1-3 ft A FEW SHOWERS OR THUNDERSTORMS, MAINLY SOUTH. 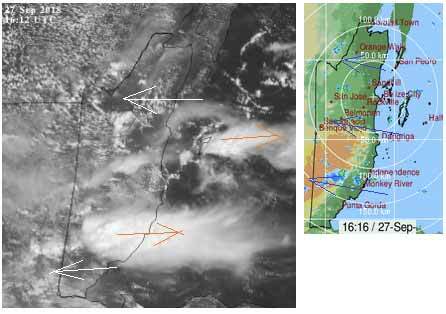 Instability generated by the eastern Pacific monsoon trough that protrudes into the far southwestern Caribbean, along with pretty decent upper-level ventilation continues to allow for scattered showers and thunderstorms to continue over much of the southwestern Caribbean south of 14N and west of 77W. 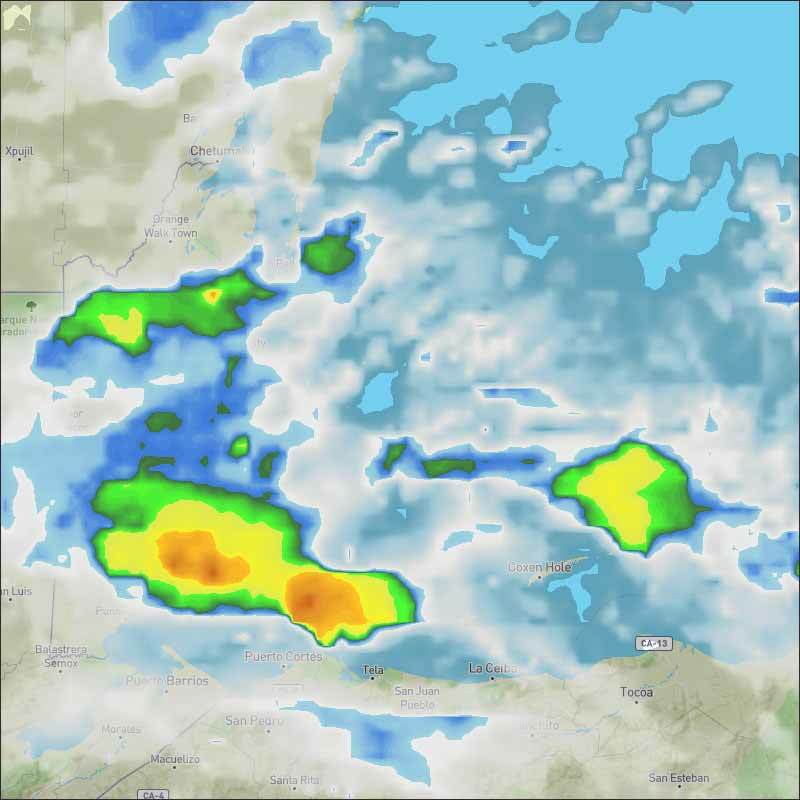 Scattered showers and isolated thunderstorms are over much of the northwestern Caribbean, and also south of 16N east of 70W, including the vicinity of Trinidad and Tobago. Expect fresh to strong trade winds to continue over the south- central Caribbean through Thu. On Ambergris Caye this morning the sea around our barrier reef is calm with a wind from the East at 10 mph. Today's expected high temperature is 88 f.
We are still in turbulent weather conditions, a number of small swellups around us, chunky Caribbean clouds coming in from the east, high level mainly from the SW, all causing very mixed conditions across Belize this morning, some sunshine in a few parts in the south and Orange Walk areas, heavy cloud in most other parts and patches of rain in many parts. Looks like another variable day, with cloud, rain patches, the odd gimps of the sun.